Discussion in 'Guitars in General' started by moozak, Apr 21, 2016. 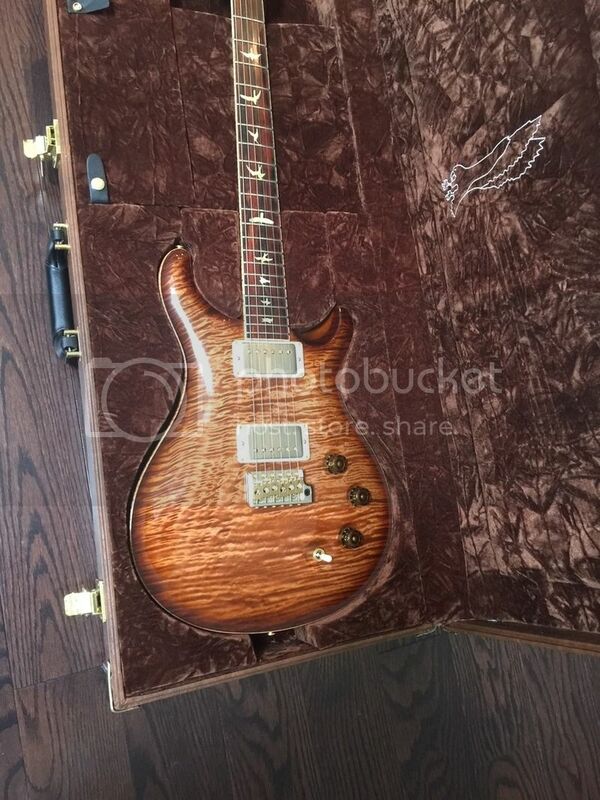 I'd really like to see some of the amazing PRS Private Stock guitars that you guys might have... especially DGT, McCarty, 408 and Paul's Guitar... but any PRS Private Stock will do! So post 'em if you got em please! jcj, Tramp, Robotechnology and 23 others like this. Amazing! 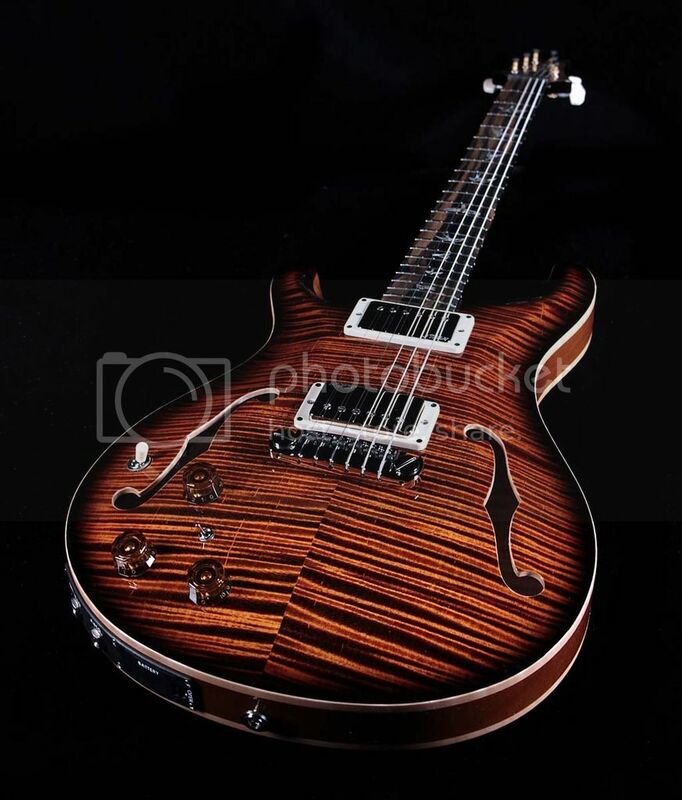 That is a stunning guitar! How are you liking the split coil sounds? nosidamde, Alex Najarian, NamaEnsou and 13 others like this. nosidamde, NamaEnsou, dmkz and 17 others like this. wow! love the one on the right especially. 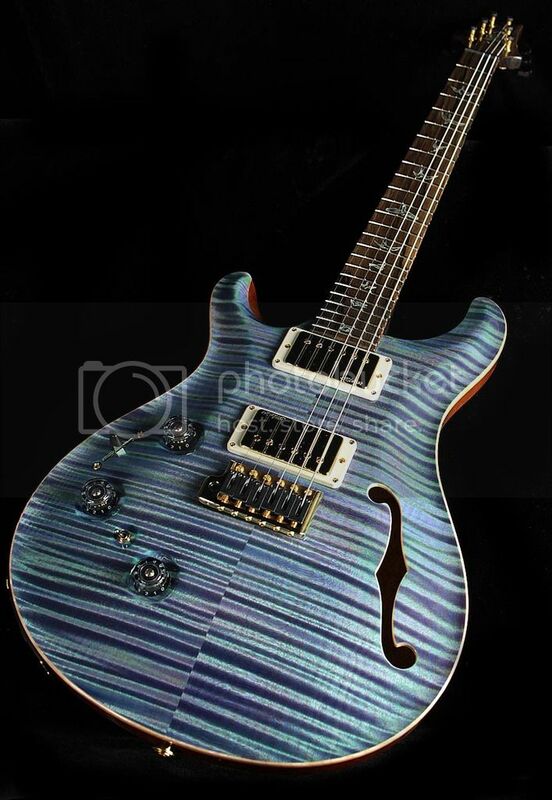 the top and color on that is fantastic! Excuse me while I hit the sky. 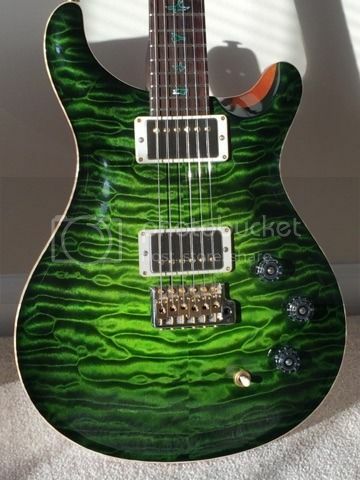 I have a PRS EmpGuitar with a PS finish, but I won't bother you with it. It would be in last place by the end of this thread. 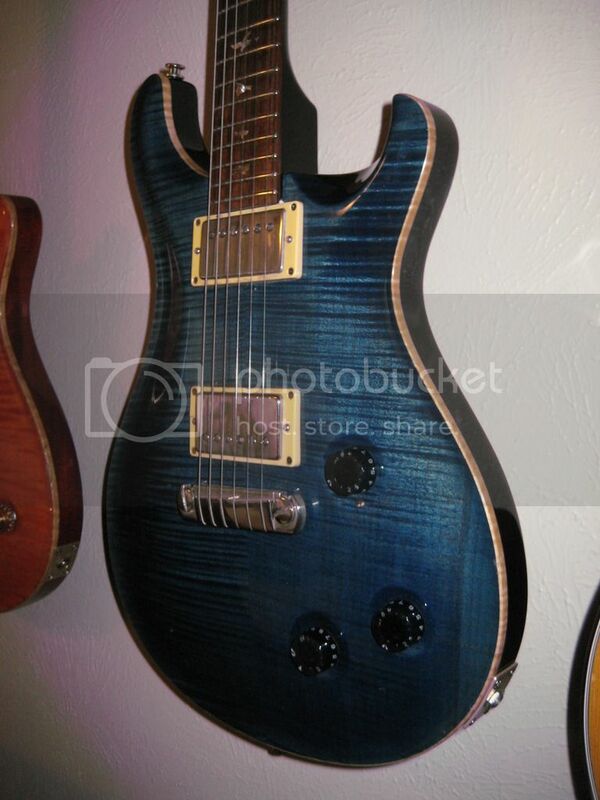 My Arch Top is a rare treat to play, look me up if you're ever near Denver! nosidamde, Jim S, d1dsj and 11 others like this. Kurtis LeCompte, $tratcat, bricel24 and 23 others like this. Can we please hear some sound clips of them? Stratburst70, Tramp, Robotechnology and 33 others like this. I don't have anything as mind blowing as some of those! 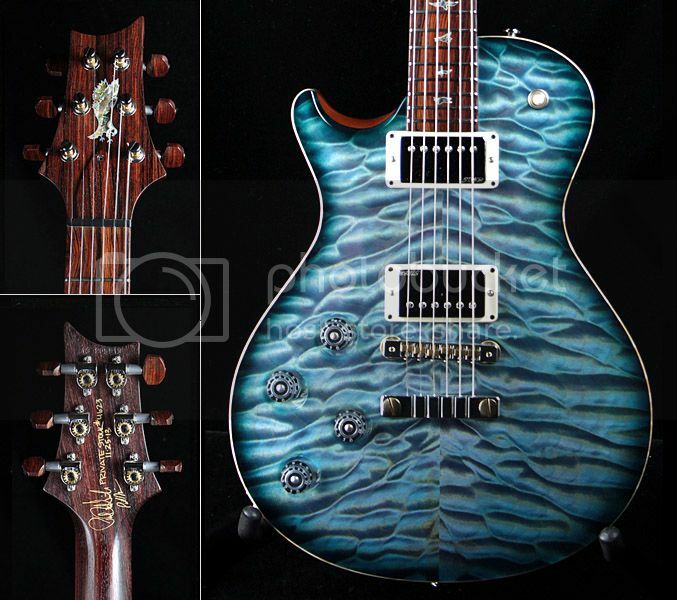 But I do have two PRS Custom 22's that I really love and gig with. 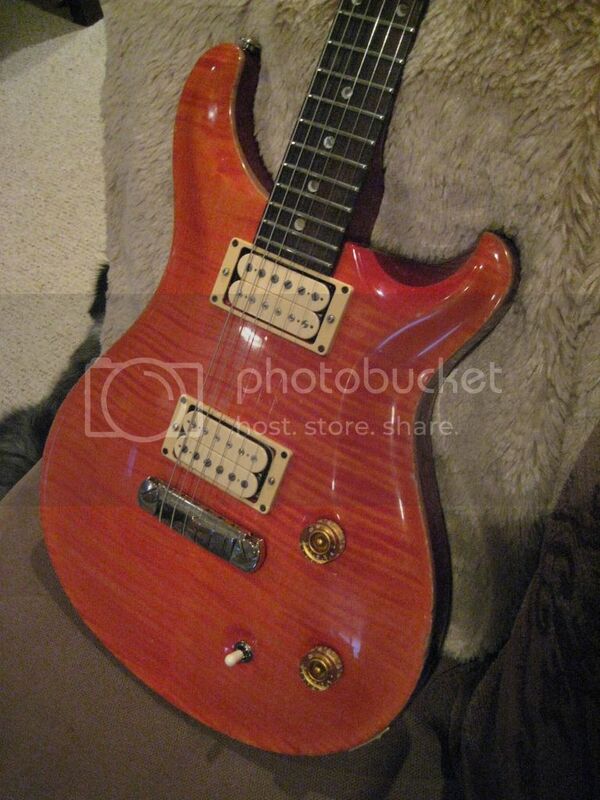 Here's my '96 with Tom Holmes double cream pickups. sloanthebone, Davesnothere, Smashies and 4 others like this. A cross between a DC 245 and DGT. Great sounding instrument. Tramp, Robotechnology, grausch and 9 others like this. Ncp10, Shine, Tramp and 10 others like this. 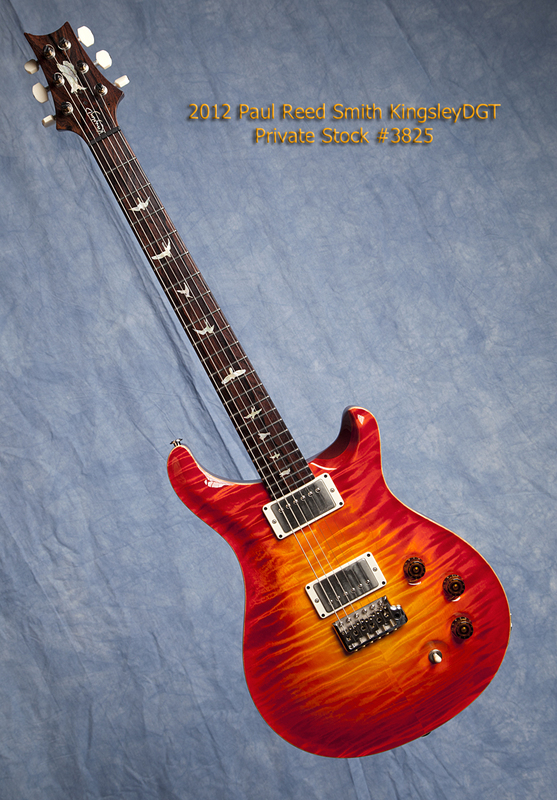 In Private Stock it can get a little funky to define what's what. 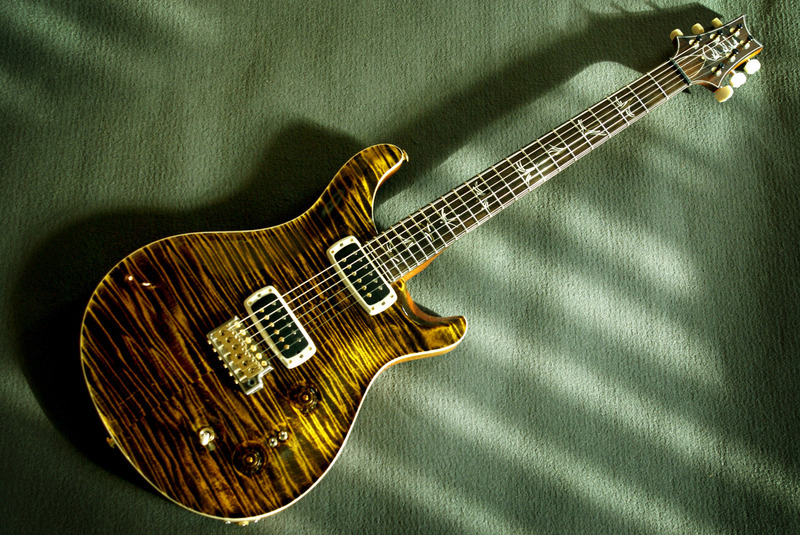 This is a "McCarty Trem [sic]" on the PS spec sheet because that's how it was ordered. 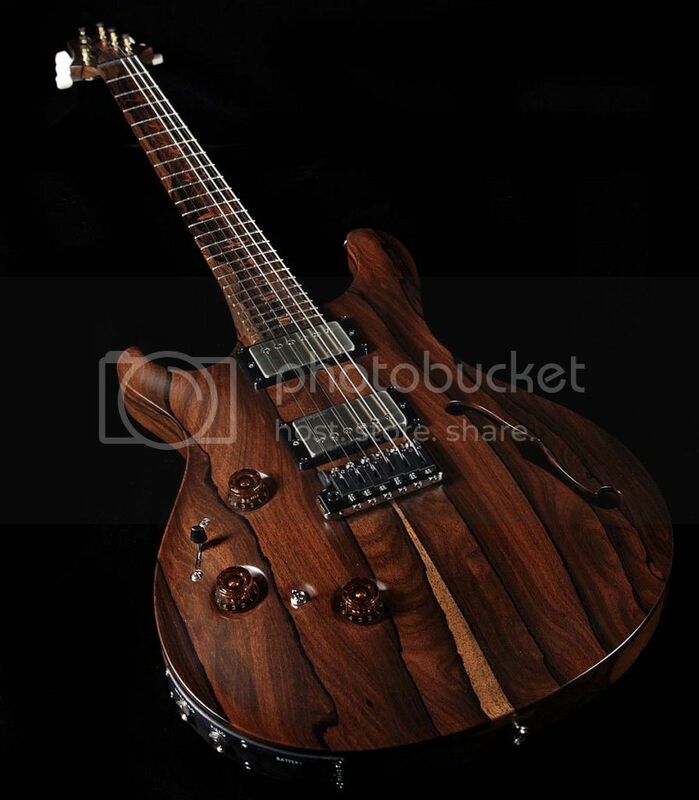 David Grissom saw it on Facebook and said "Nice DGT!" 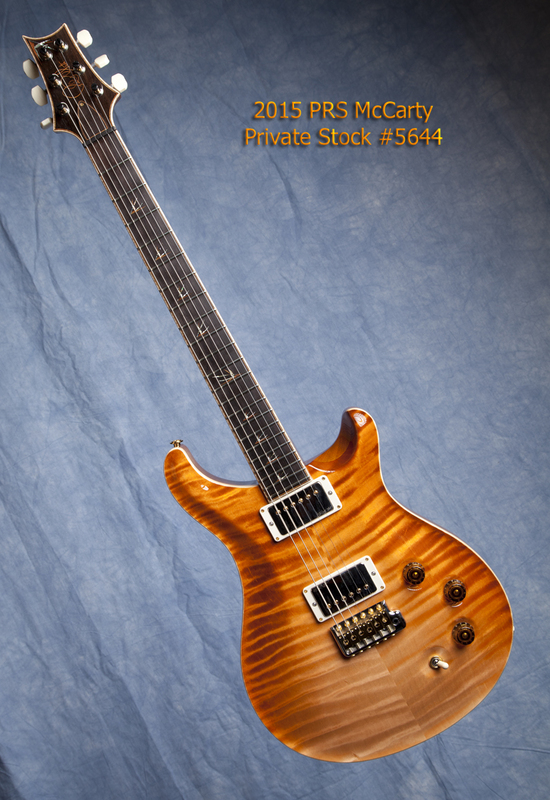 Which begs the question: what makes a DGT a DGT? 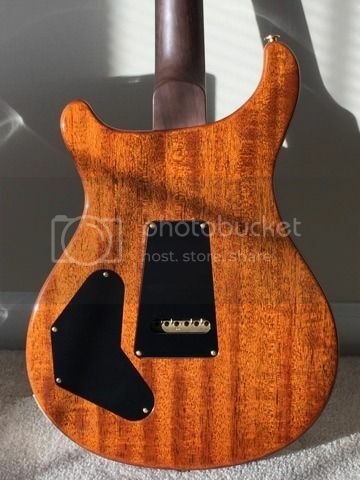 Yeah it's a McCarty with a vibrato and two volume controls, but it doesn't have DGT pickups (it has 58/15s) and the body is both thicker than a McCarty/DGT (it's single cut thickness) and it's chambered fairly significantly; it's pretty close to being semi-hollow. So is it still a DGT? 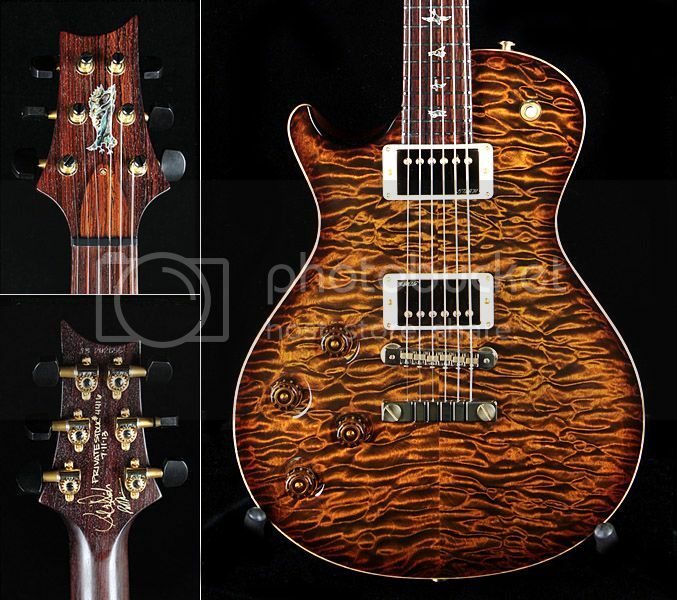 In my mind it's just a tweaked version of the KingsleyDGT above. Ncp10, Shine, Tramp and 12 others like this. 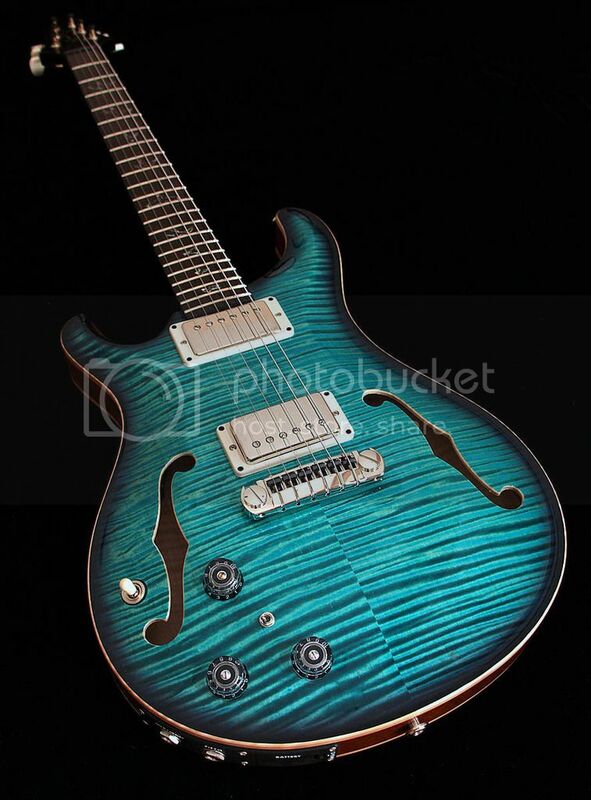 The words that come to mind when seeing this guitar are HOLY $&#¥!!!!! I can testify, from first-hand experience, that it's a great frikkin' guitar. JMintzer and Matt L like this. 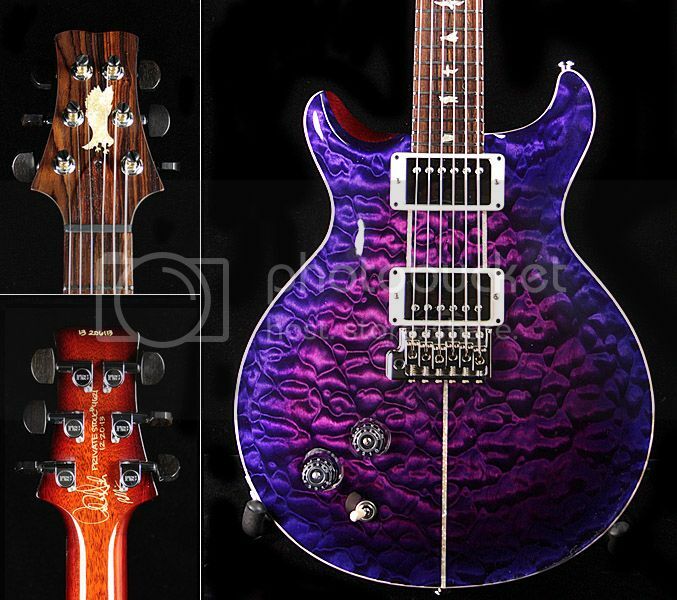 I love PRS guitars, Paul is one of the reasons I started guitar building. His original design was a stroke of genius. That's why I can't understand that when they finale decided to make a TOM stop tail type bridge setup they chose to build that blocky unsightly chunk of square stock. WTF were they thinking with that? He didn't think to round it out a little bit? It looks like something someone would have made in metal shop class on an old Bridgeport. That's why I can't understand that when they finale decided to make a TOM stop tail type bridge setup they chose to build that blocky unsightly chunk or square stock. WTF were they thinking with that? He didn't think to round it out a little bit? It looks like something someone would have made in metal shop class on an old Bridgeport. LOL! I completely agree. People seem to think it works & sounds great, but I can't get past how it looks.